G2UF - H. Bailedy and Co. Ltd.
Bailey was transmitting television signals and accompanying sound via his own amateur station G2UF on the 10 metre band. 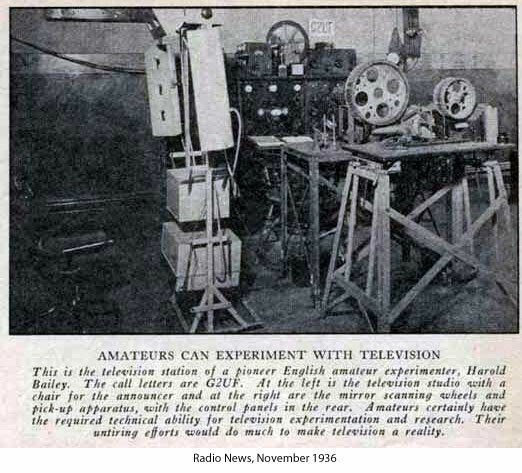 The..sound was broadcast on 29950 kc/s - 10 metres, and vision was broadcast on 28050 kc/s - 10.7 metres on evenings and Sundays. 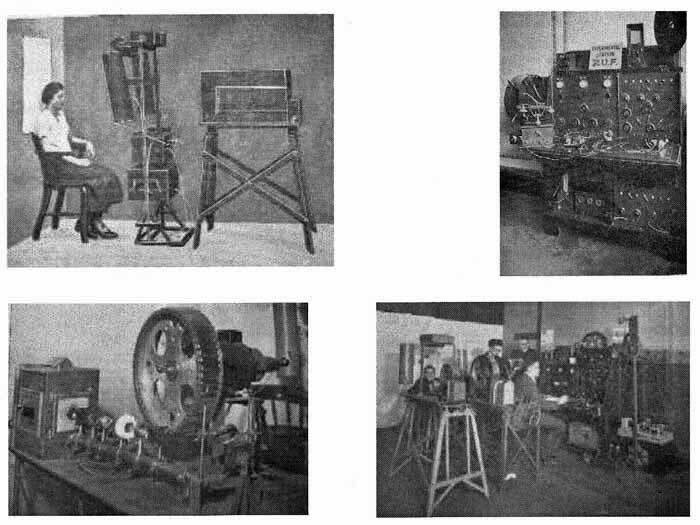 Of particular interest are a picture of the G2UF transmitter and a picture of the vision transmission apparatus, the layout of the flying spon scanner and cells being clearly shown.